Deep within the Tasmanian wilderness lies Boolool Kiambram – Dead Tree Forest. To the local Aborigines, Boolool Kiambram means death. A curse was placed over the forest more than a century ago, and the locals know that once you enter the vast expanse of leafless trees and ash-like soil, you’re never to return. To others, Dead Tree Forest is a legend. Some are attracted to the adventure and mystery of the fabled forest of dead trees; others, such as Ray Lambert, are drawn to the legend of the girl murdered in the forest and the treasure she took with her to her grave – a treasure that supposedly contains incredible powers. 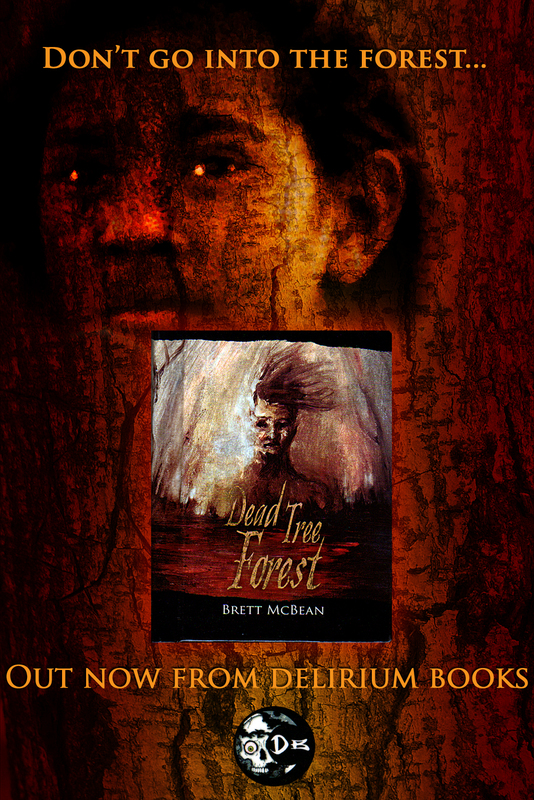 When Ray travels to Dead Tree Forest in the hope of finding the buried treasure, what he and his friends find is the restless spirit of the murdered girl, and a curse that won’t let them leave until blood has been spilled and the wrongs of the past have been avenged. Just getting around to DTF and I’m enjoying it very much. Only half way through but wanted to comment. Glad to hear you’re enjoying the tale so far. Hope it continues! Nice to hear from you, John, and all the best. Finished. Definitely continued enjoying it.